The Raven Cafe is located just inside the entrance to the SLAM on the right. 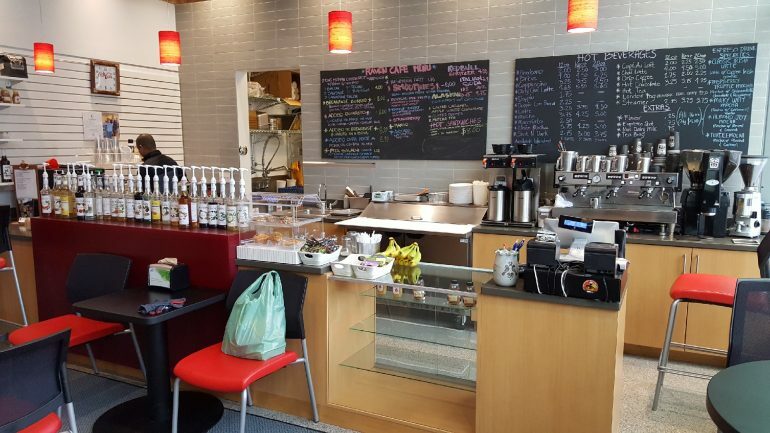 They seve breakfast and lunch and has a full coffee bar as well. 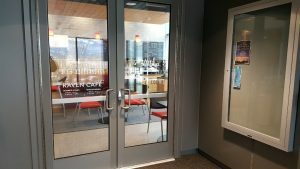 Opening at 0730 Raven Cafe is a great place to grab breakfast on the go. They have a few seats and tables allowing you to enjoy your food on the spot, if you like. The Raven Cafe operates with two schedules. (Summer and Winter hours). 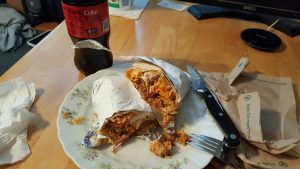 On my visit I ordered the Adobo Burrito. I selected the pork and it arrived with lots of meat. The meal also comes with sour cream, garlic rice, and spicy sauce. I like my burrito spicy. I enjoyed my burrito very much and would not hesitate to order it again. It cost me $9.40 with taxes. 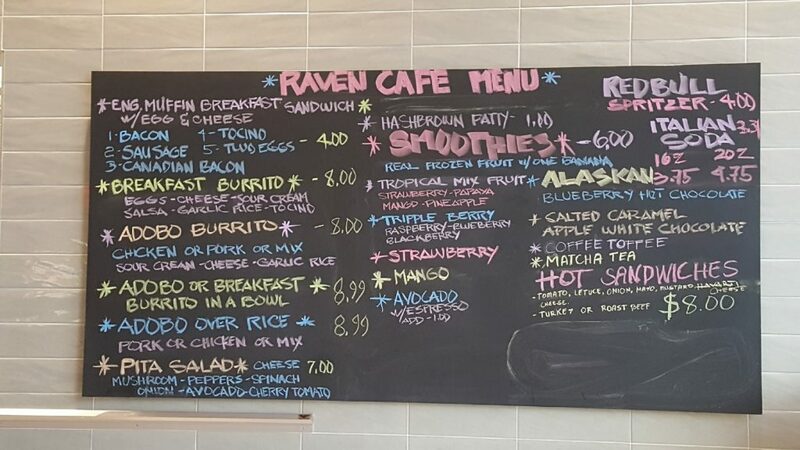 Besides burritos, Raven Cafe also has breakfast dishes and full coffee bar services. They serve smoothie drinks too. I believe the next time I visit I will order the hot sandwich with a smoothie. I went to the cafe at 1130 when it was not too busy. If you go during lunch it can get busy with state workers and high school students. The staff is very friendly and very prompt. The only downside I can see is that the cafe has a limited selection. So if you are looking for good food with a Philippine twist definitely go visit them. You will not be disappointed with their food.